Located in the Bogside, the Museum of Free Derry was established by the Bloody Sunday Trust in 2006 to tell the story of the civil rights movement and the creation of Free Derry in the 1960’s and 1970’s, telling the story of how a largely working class community rose up against the years of oppression it had endured. 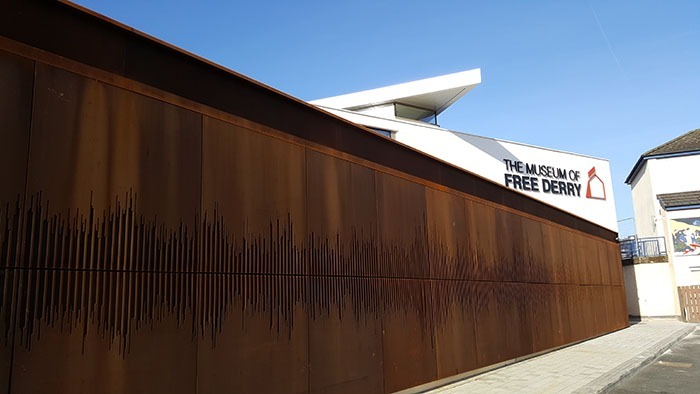 The museum is a public space where the concept of Free Derry can be explored in both historic and contemporary contexts. For further information visit www.museumoffreederry.org.